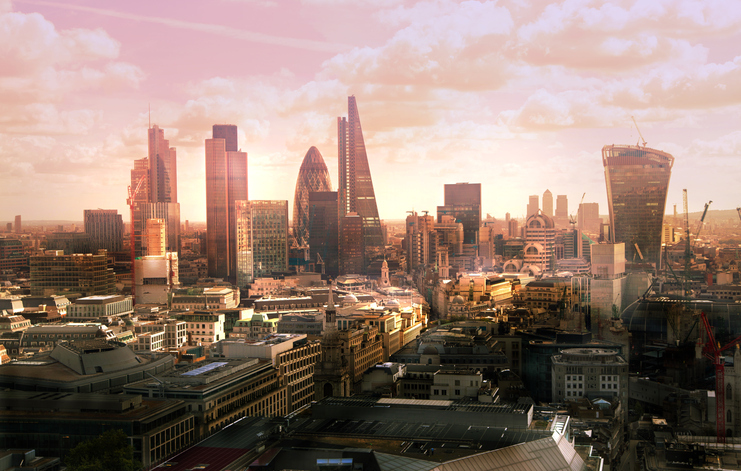 After an uninspiring week for the FTSE 100, our chartist examines the near-term outlook. The other day we urged attention to our initial targets but that we had a lack of confidence in our secondary upper target levels. It's almost like the market itself was listening as now the UK index requires better than 7,444 points before we dare take any rise seriously. A miracle such as this should signal coming growth to an unimpressive 7,458 points. If exceeded, the secondary calculates at 7,470 points. If triggered, the tightest stop appears to be at 7,406 points. 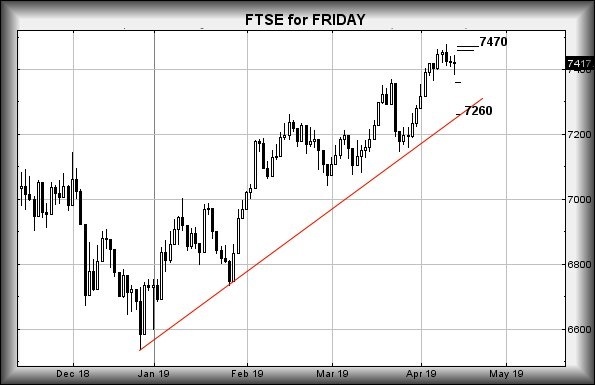 The alternate comes with weakness now below 7,383 as reversal on the FTSE 100 down to 7,358, followed by some sort of bounce makes sense. If broken, things are liable to get a little exciting as our secondary calculates at 7,260 points! We've very little to go on based on movements this week, which doesn't give any confidence for coming market direction. If we had to guess, the visuals tell us not to be surprised at an attempt to match prior highs, making a near term ambition of 7,470 fairly sane. Have a good weekend. It's a F1 one and hopefully as good as the previous two.